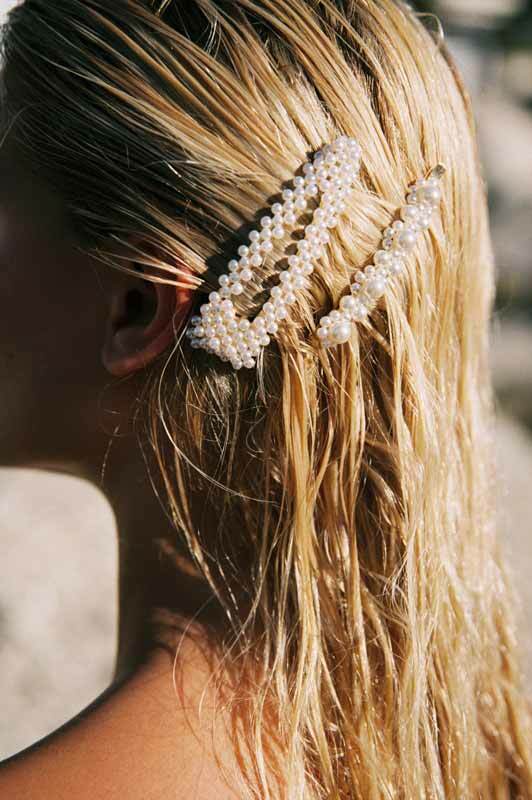 Hair clips are the biggest accessories trend right now! 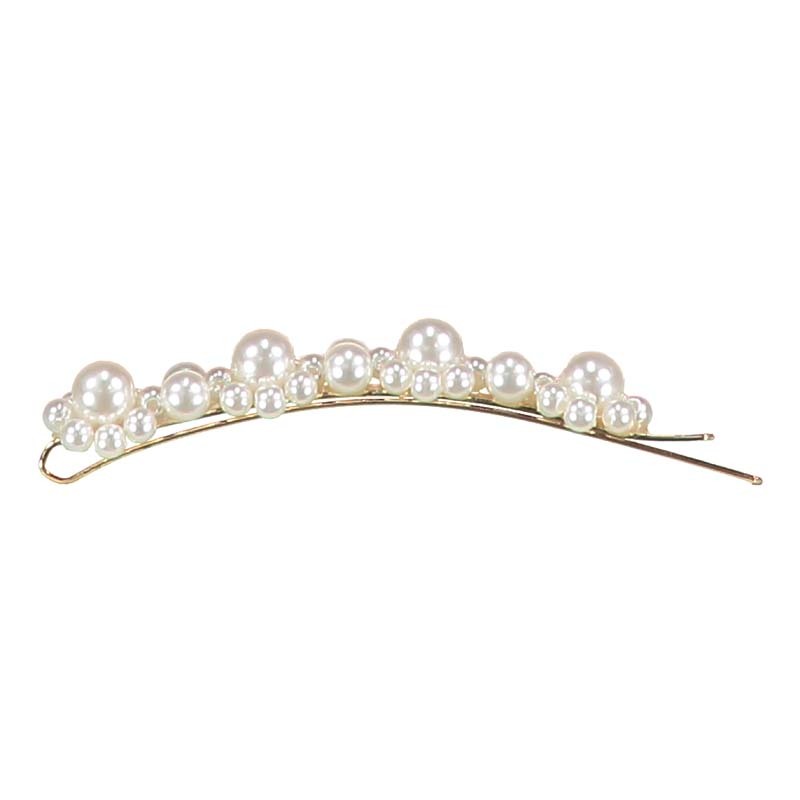 This golden tone slide is threaded with lustrous fauxpearls. Use it to pin back soft waves or slip it into a messy bun.